A new article by researchers from the International Agency for Research on Cancer (IARC) and partners highlights the large geographical diversity in cancer occurrence and the variations in the magnitude and profile of the disease between and within world regions. 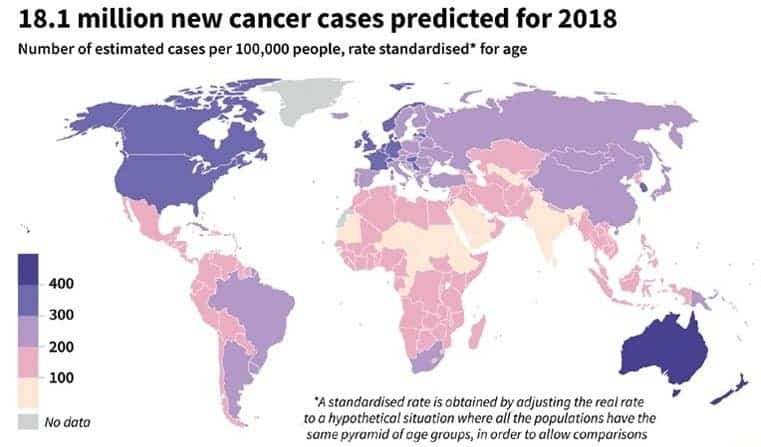 The report states that there will be 18.1 million new cases of cancer and nearly 10 million people will die with the disease this year worldwide. The figures suggest that one in five men and one in six women will develop the disease in their lifetime. Also, as countries become wealthier, more people get cancers related to lifestyle rather than those linked to poverty. The growing global cancer burden is also partly down to the world’s growing population with an increasing proportion of older people. Lifestyle factors such as tobacco smoking, obesity and drinking are also causing more cases in high-income countries. Researchers say that while ways of measuring and collecting cancer data have improved over the years, the overall trend is that cancer rates and deaths have risen year on year. The latest report suggests that lung cancer, female breast cancer, and bowel cancer are responsible for a third of all cancer cases and deaths worldwide. Death rates from cancer in Asia and in Africa (57.3 percent and 7.3 percent respectively) is significantly more than their proportions of global cases (48.4 percent and 5.8 percent respectively) – this means that a higher portion of people in Asia and Africa who get cancer will die of it. Researchers say this is because of a higher prevalence of deadlier types of cancer along with poorer access to diagnosis, prevention, and treatment. “These new figures highlight that much remains to be done to address the alarming rise in the cancer burden globally and that prevention has a key role to play,” said Christopher Wild, IARC director. 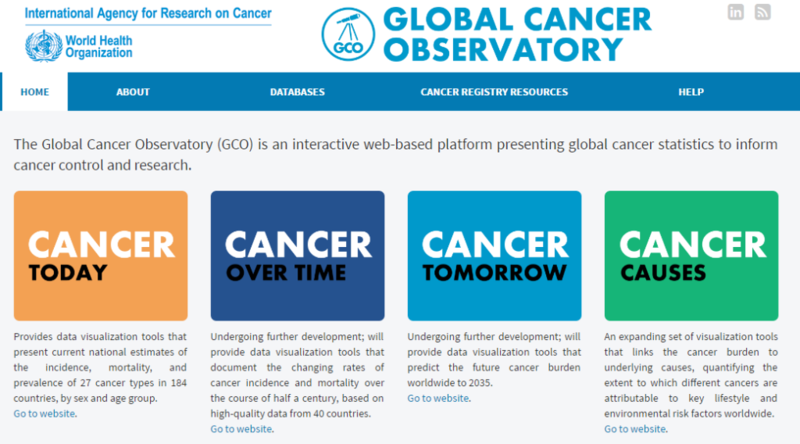 The analysis, published in CA: A Cancer Journal for Clinicians, is based on the latest estimates of the global burden of cancer in 2018 and is published in conjunction with the IARC Global Cancer Observatory. Cancer prevention and awareness concept with icons and words on screen and medical doctor touching a button. 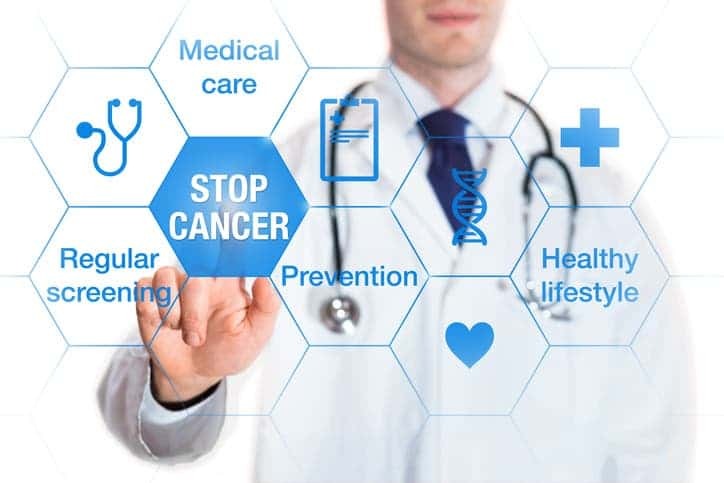 Some lifestyle changes can make a big difference – consider these cancer prevention tips: 1) Don’t use tobacco – smoking has been linked to various types of cancer — including cancer of the lung, mouth, throat, larynx, pancreas, bladder, cervix and kidney. 2) Eat a healthy diet to help reduce your risk. If you choose to drink alcohol, do it only in moderation, as developing various types of cancer — including cancer of the breast, colon, lung, kidney, and liver — increases with the amount of alcohol you drink and the length of time a person has been drinking regularly. 3) Maintain a healthy weight and be active – a healthy weight might lower the risk of various types of cancer, including cancer of the breast, prostate, lung, colon, and kidney. 4) Don’t love the sun too much – skin cancer is one of the most common kinds of cancer — and one of the most preventable. 5) Get vaccinated – there are effective and safe vaccines against Hepatitis B (which increases the risk of liver cancer) and human papillomavirus (HPV) that can lead to cervical and other genital cancers as well as squamous cell cancers of the head and neck. 6) Get regular self-exams and medical screenings for various types of cancers — such as cancer of the skin, colon, cervix, and breast. Cancer prevention is an evolving field but the chances of developing cancer are affected by your genes, your environment, and the lifestyle choices you make. For more information on cancer prevention visit this website.